Lace up with these rock-solid stability picks - they‘ll make you feel secure on every single run. All you have to do is close your eyes and imagine how you want to feel when you run: light, fast, empowered? Like you’re running on clouds? Supported and invincible? Good. We’ve got those shoes. Here are three of the best stability running shoes on the market right now. The RW Shoe Lab performs mechanical tests on the industry-standard sizes, men’s 9 and women’s 7, to give you a general understanding of the features. Here’s what the numbers you’ll see in this guide mean. Some runners care a lot about weight, and research shows that you expend more aerobic energy with heavier shoes. To put it into context, the heaviest shoe in this guide is 340 grams (Vivobarefoot Primus Swimrun) for men, and 348 grams (Olympic Ramble Ladies) for women. The lightest is 227 grams for men and 198 grams for women (Altra Duo). A fancy machine called a digital contact sensor measures the ‘stack height’, or the total thickness of the sole from your foot to the ground, in both the heel and the forefoot. The ‘drop’ is the difference between the heel and the forefoot measurements, or how much your toes drop below your heel. The least amount of drop in this guide is 0mm for both men and women (Altra King 1.5, Vivobarefoot Primus Swimrun). The greatest amount of drop is 14.4mm for men and 12.9mm for women (Reebok Harmony Road 2). The lab takes cushioning measurements from the heel and forefoot, then averages the scores to give you an idea of the overall cushioning experience. 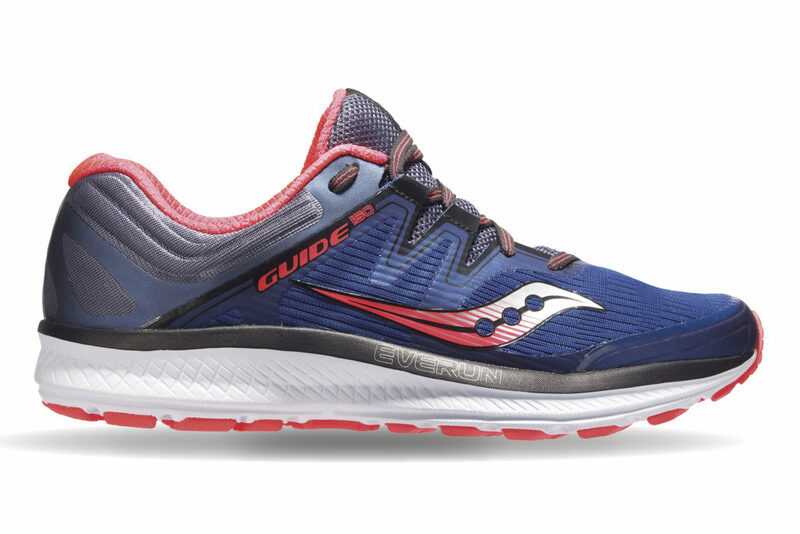 The cushioning scores in this guide are on a scale of 1 to 100, with the lowest (or the least cushioned) coming in at 30 (Puma Speed 300 Racer) and the highest (or most cushioned) coming in at 85 (Saucony Kinvara 9). You don’t need to get lost in the weeds on how brands build support into a shoe (that’s our job). All you need to know is that a stable experience feels as though the shoe perfectly braces your foot, while guarding against extra motion that can cause injury. These three are your rock-solid picks. 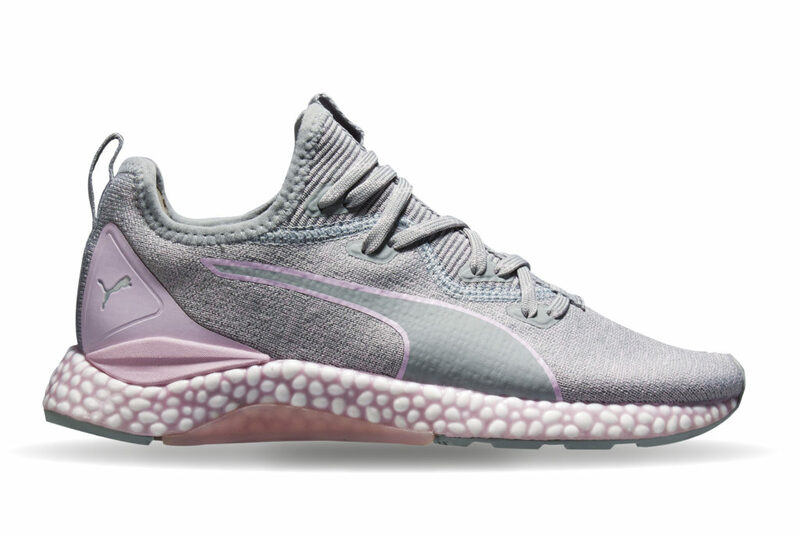 Hybrid foam combines two of Puma’s technologies: Ignite foam provides energy return on impact, and then the NRGY beads provide cushioning, which creates a rebound effect during the toe-off phase. Testers enjoyed using this shoe on long-distance training runs. In terms of style, this shoe is a departure from the traditional running shoe – so much so that it reminded one tester of a boxing shoe. Combined with comfort and reactivity in the sole is Puma’s evoKNIT upper, which testers reported had a sock-like feel. Flexible Bounce midsole cushioning gives you a little spring in your step, without weighing you down on a long-distance run. The upper has a suede lining and is surprisingly durable, despite the sock-like mesh, and the lightweight, blown rubber outsole has good traction for rocky and wet surfaces. Wide-footed runners appreciated the roominess of the shoe. Testers who liked the ability to slip their kicks on and off swiftly were fans of the shoe’s quick-pull ISOFit lacing system, and thought it made the shoe more comfortable on the foot than previous iterations of the Guide. 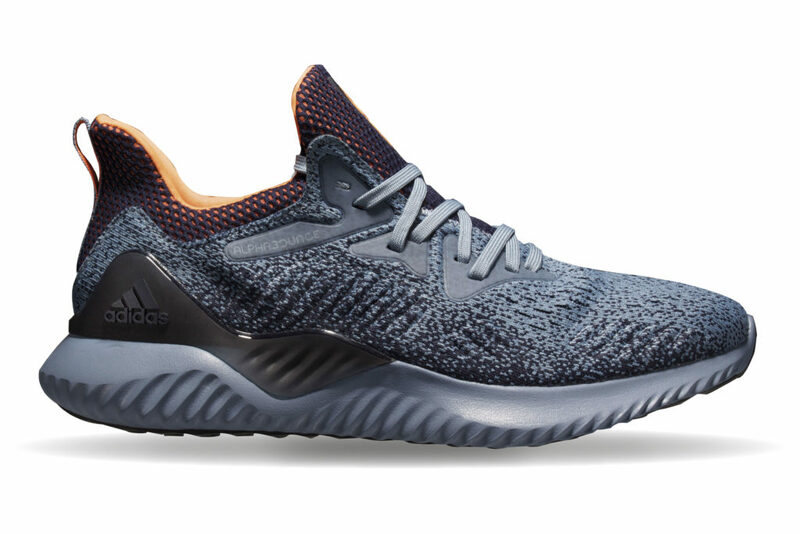 The shoe guides the foot to deliver better motion control via a supple midsole foam that provides responsive cushioning, and a supportive yet lightweight medial post for minimising over-pronation. Together, these features gave testers just enough support, without being overbearing or clunky.